My amazing Partner-in-Crafting-Crime who lives nearly 800 miles away and is also a Stampin’ Up demonstrator declared that we were going to have dedicated craft time via Skype. This time was going to be facilitated by the presence of the happy little box known as Paper Pumpkin. My dear Partner -in-Crafting-Crime “Paper Pumpkin-ing” with me via Skype! We’re two months in to the fun, and it’s been great to spend time together crafting even if we do live so far away! 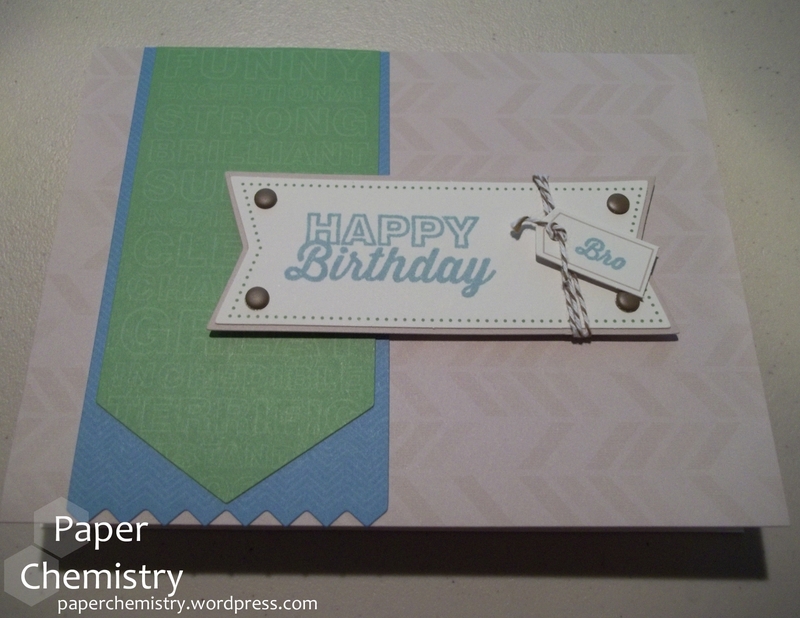 My first card ended up being for my brother-in-law’s birthday. I didn’t stray too far from the pre-designed card, but I did make a few changes. I like that you can use as much or as little brain power as you want with Paper Pumpkin: So tired, you can’t think straight, but want to make a card? Just follow the instructions. Feeling creative? Try something different and make it all your own. 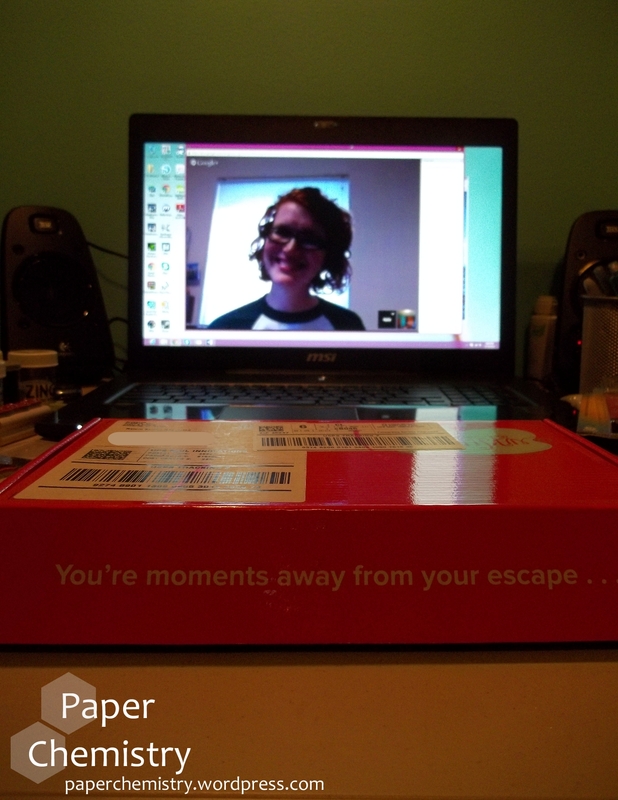 Thanks, Paper Pumpkin, for the Skype crafting time with my friend!